Does your bank want to close more commercial real estate loans? 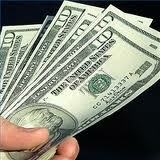 C-Loans.com will give you two hundred commercial loan leads for free, deals that are perfect for your bank. Here is what a typical lead looks like. This sample lead happens to be a conventional commercial loan request. SBA loan applicants will request an SBA loan, and the property will be owner-used. These commercial loan leads (or SBA leads, if you so wish) will be the ideal size for your bank. They will be located only in your favorite counties of your favorite states, and these commercial loan leads will be secured by just the type of commercial real estate that you prefer - office buildings, industrial buildings, etc. To receive these two-hundred free leads, you must be a commercial real estate loan officer working for either a FDIC-insured commercial bank or NCUSIF-insured credit union. I'm sorry, but all others visitors, including loan officers working for other types of commercial lenders, are asked to please exit this page at this time. C-Loans.com is part of a $50 million commercial mortgage company. This is our 39th year in the commercial mortgage business. You fellow veterans will recognize that this means that we have survived three (!) commercial real estate crashes of over 40%. We know a little bit about commercial real estate finance. Using our online commercial loan applications, commercial banks have closed over 1,000 commercial real estate loans totaling over $1 billion. For more information, please complete the little form to your right.